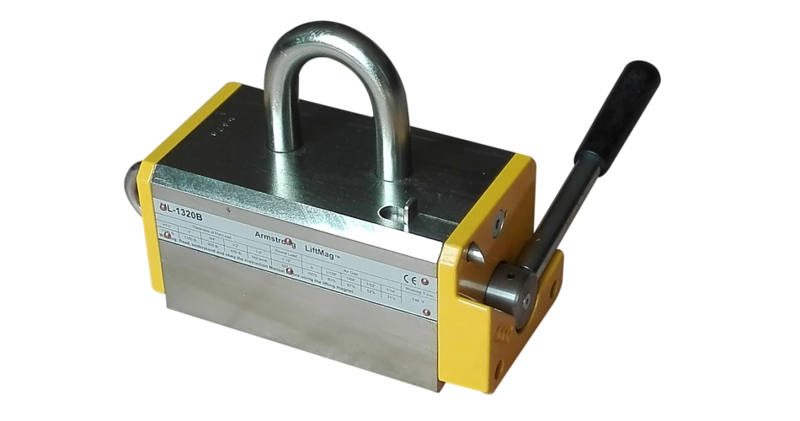 Armstrong LiftMag™ NL-B lifting magnet is designed and manufactured in accordance with ASME standard B30.20. 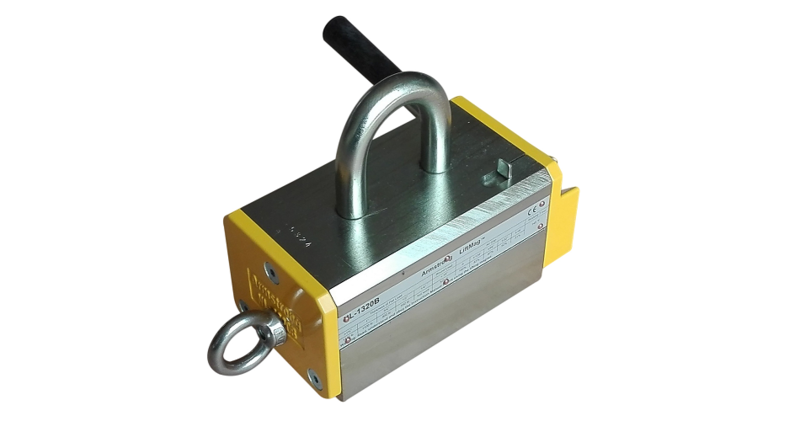 NL-B series permanent lifting magnets using high energy Neodymium magnets are designed and made for holding, carrying and releasing flat or round ferrous parts without any electrical power supply. 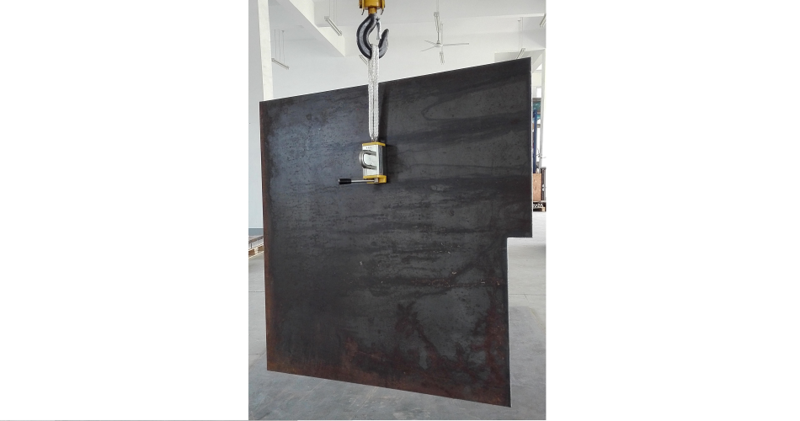 They attract ferrous parts by turning its handle counterclockwise to "On" position and release the parts at "Off" position. 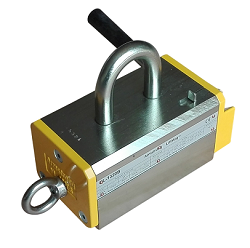 For more safety, a special device (Slide Pin) locks the handle at "On" position and keeps the lifter having lift power until operator unlocks it. Armstrong LiftMag™ has Limited Lifetime Warranty. 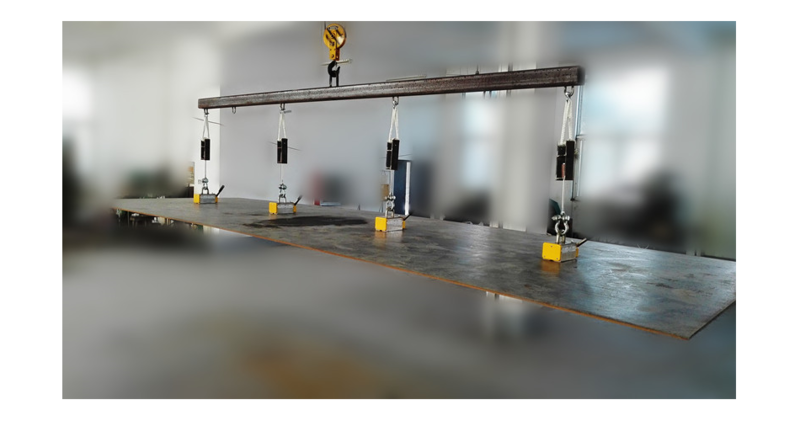 To test the lifting capacity for a particular load in order to ensure the safety factor of 2:1 at least. >1 1/2" 1" 3/4" 1/2" 1/4" 0 1/128" 1/64" 1/32 1/16"